I had so much FUN making this card, and it was super easy to do! 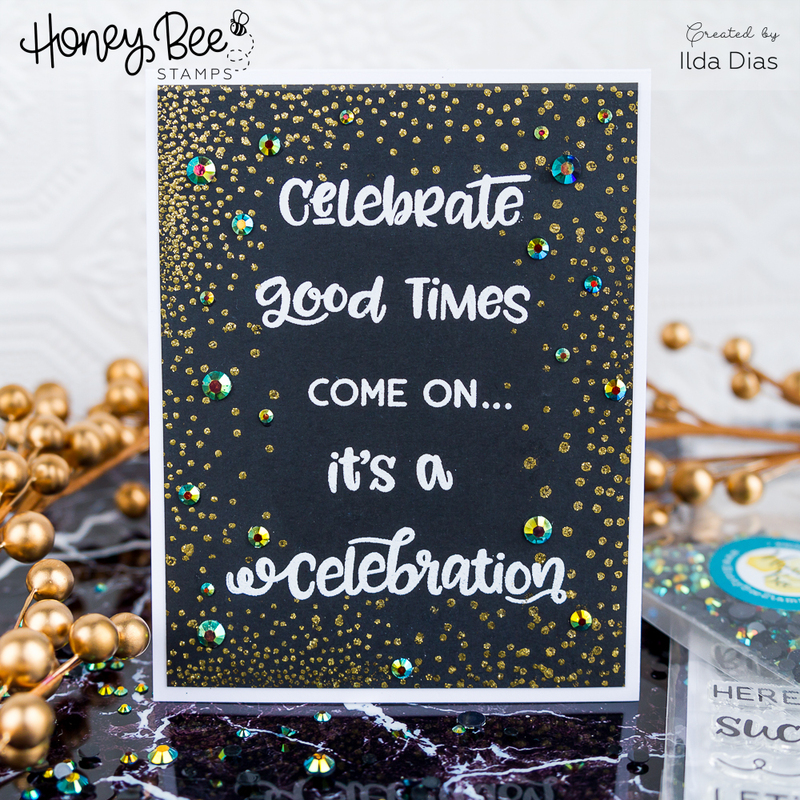 This Tie One On Stamp and Die set is perfect for making any celebration card. To make this card I used a variety of Distress Oxide inks. I first stamped out the outline of the balloon, heat set it with a clear embossing powder and then colored them using a water brush. Next, I stamped out the sentiments onto black cardstock and heat set it with a white embossing powder. 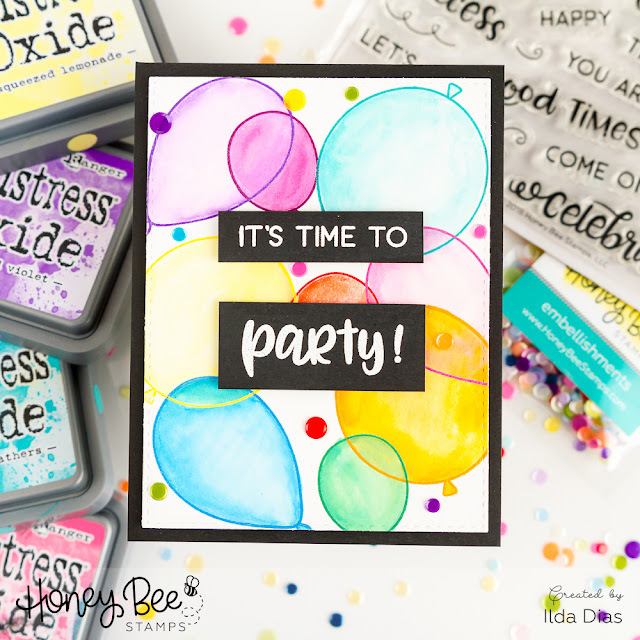 Added my confetti sprinkles and Voila a finished card, perfect for any Party! This next card was even easier to make! I apologize ahead of time for the earworm about to enter your head. "Celebrate good times come on... It's a celebration!" A classic 80's hit by Kool and the Gang, I'm sure you've all heard it 😆 and yes, it's stuck in my head too! To make this card, I first stamped out the sentiments in a white pigment ink and heat set it with a white powder. Next, I stamped the confetti all around the card and heat set it with some gold glitter embossing powder. Trimmed the card panel and glued it to the card front. Finished it off by adding some twilight Rhinestones sprinkles. I hope these cards inspired you today. If you have lots of birthday/party cards to make this set is a great one to get. Don't forget it is only available while supplies last!